Slowmotion is doing everything but living up to her name of late. It was a bold move from Joseph O'Brien to send her over fences at the age of just four last November and few would have argued if he decided to quash the idea after she fell at the very first fence on her chasing debut at Wexford. But the youngest member of the training ranks persisted with his initial plan and it has paid off. The daughter of Soldier Of Fortune has won twice at Naas and comfortably landed a Grade 3 contest at Fairyhouse only 11 days ago. Could a third success of the campaign be on the cards? If Slowmotion is to achieve such a feat, she will have to lower the colours of last year's winner Definite Ruby, who is back to defend her crown off just a 4lb higher mark. 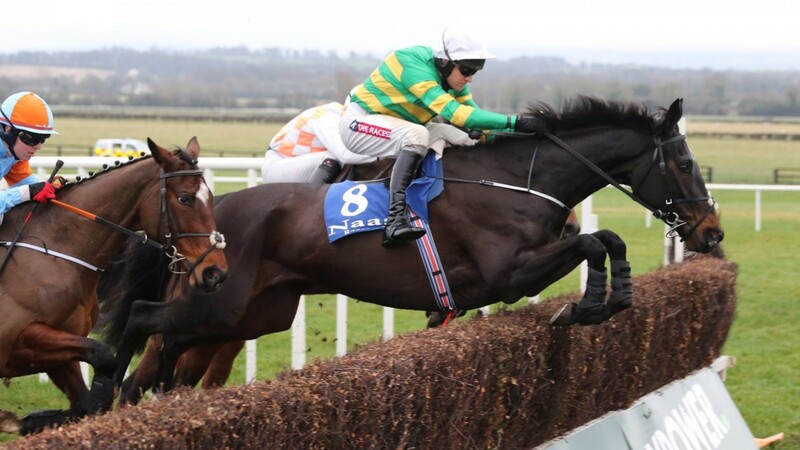 Definite Ruby certainly seems to save her best for Punchestown as her most recent win, a 2m4f handicap hurdle in January, was also at today's venue. The red-hot Jessica Harrington is triple-handed thanks to Keppols Queen, Rock On The Moor and Girly Girl – man of the moment, Robbie Power, has been booked to ride the latter. The last two winners of this race have carried low weights. Last year's heroine Definite Ruby carried just 9st 9lb to victory, while 2015 winner Mallards In Flight had just 9st 5lb on her back. I was delighted with her at Fairyhouse, where she won nicely and she seems to be in good form since. This looks an ideal race for her and hopefully she will continue her progression. She's on an upward curve. Definite Ruby won this race last year and she is in great form as she attempts to do it again. I'm very happy with her and she has plenty in her favour. Isabella Liberty won nicely at Kilbeggan last Friday night and that would have done her confidence the world of good. She has come out of her good run at Fairyhouse in great shape and I couldn't be any happier with her. I do think she stays this far but it is probably as far as she wants to go. She should run very well.